With every year technology evolves and new tech and gadgets are ready to amaze us with stunning features and cool designs. 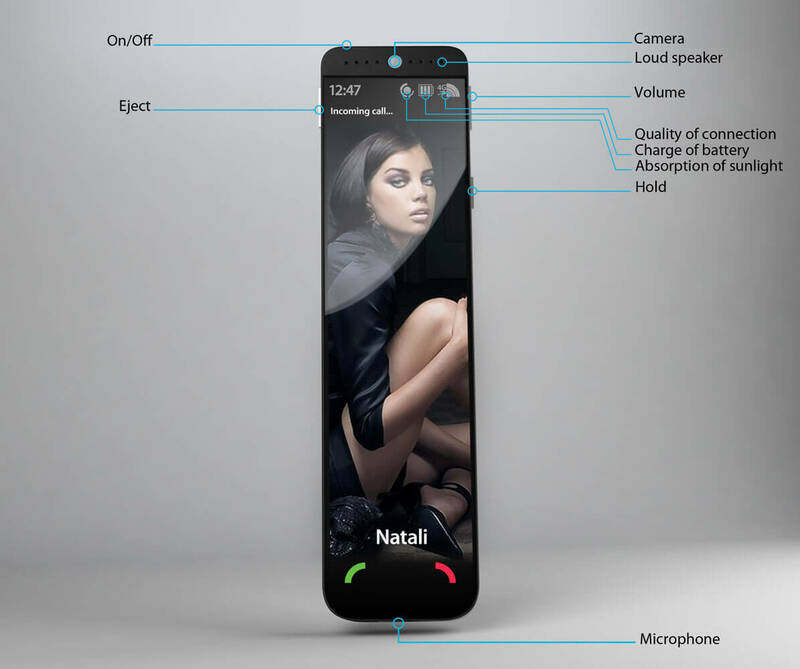 We will not tell about best gadgets for 2012 today, but about one of the cell phone concepts which you cannot remain indifferent and stirs your curiosity once you see it. A new generation mobile phone, „Mobile script” designed by Mukomelov Studio, will not only give all the possibilities in terms of functions that a contemporary mobile phone should maintain like mobility, constant Internet access, access to the documents, games and the best possibilities and means of communication and contact, but will also have integrated other amazing features. The revolutionary approach of this concept lies in the fact that it has two touch screen (small and large), which provide the best access to information and provide a wide field of communications. Functions like video link, ability to view movies, using browser or targeting areas with the help of internet services can be best accessed using the large screen which is located inside the phone in the collapsed state. The screen diagonal has generous dimensions, 9.5 inches, and consists of 2 layers: a soft OLDE – touchscreen and soft nano material hardening in the filing of low-voltage nego. After you finished your work with it, you press Eject on the side of it and becomes soft and mosey inside. Although it has minimalist and sleek design almost similar with our contemporary mobile phones, „Mobile script” is bigger and its case is covered with nano material, converting the Sun light into the energy for your phone feed. User will be able to watch how much charge is left at the battery and how strong the power of the light which charges the battery is. The gadget will automatically warn user when it’s time for a power recharging. It can be recharged on a special wireless recharge rug or with a similar wireless way in any public place, where this service is rendered. At the moment, the technologies are developed and tested. We would love to see it in real life. Photos: © Mukomelov Studio ltd.